Planning your big day? Find out what's going on in the world of weddings from venue open days to national and local wedding fairs, bridal sales and everything in between! 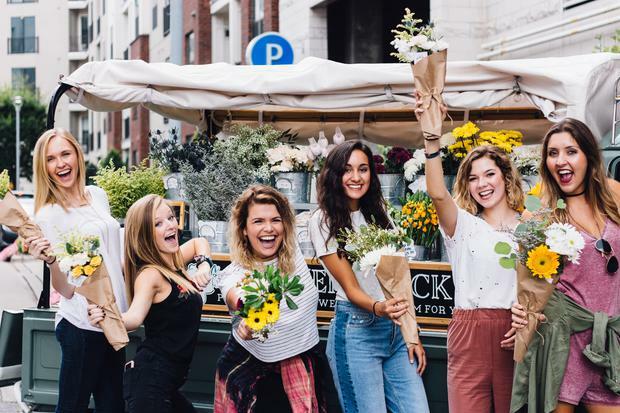 From wedding fairs and huge sample sales to expert talks and everything in between, THEVOW.ie has the best events to attend in January that are sure to get your wedding planning off to a strong start! Wedding bells will be ringing on Sunday 6th January, as Mount Juliet Estate in Kilkenny host a not-to-be-missed wedding open day from 2-5pm. Luxurious yet laid back, Hunter’s Yard at Mount Juliet Estate is an impressive 93-bedroom addition to the 250-year-old Georgian house set in a picturesque 500-acre country estate of sprawling gardens, magical stone bridges and tumbling waterfalls. The wedding open day will be held in the atmospheric Stables in Hunter's Yard - a magnificent ballroom filled with natural light and elegant fixtures just a few minute's walk from the Manor House. On the day, the Stables will be set up as they would for a stylish and sophisticated wedding, and guests will be invited to explore the venue and speak to the event's team to discover if it's the venue for them. Visit www.mountjuliet.ie for more information. 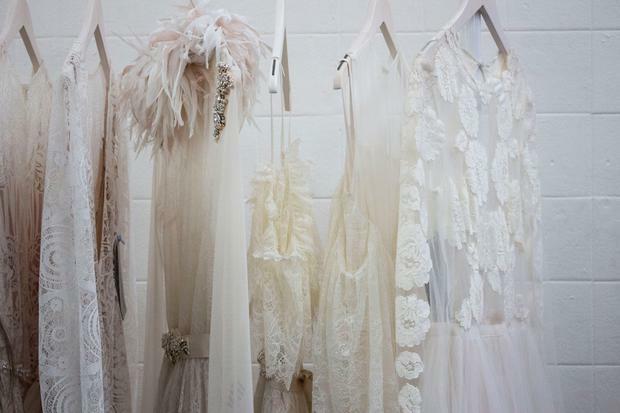 Three of Ireland's top bridal boutiques are joining forces this January to hold a massive sample sale where designer dresses are set to be snatched up for under €700. Smart Brides, Belladonna Bridal and The White Room will host what's tipped to be Ireland's biggest ever designer wedding dress sample sale on the 4th, 5th and 6th of January, in Smart Brides, Portlaoise. There will be over 100 designer gowns on offer at knock-down prices, including designers such as Daarlarna, Pronovias, Jesus Peiro and Mikaella Bridal. Priority will be given to appointments on the day, to make an appointment request visit smartbrides.ie/make-an-appointment/. 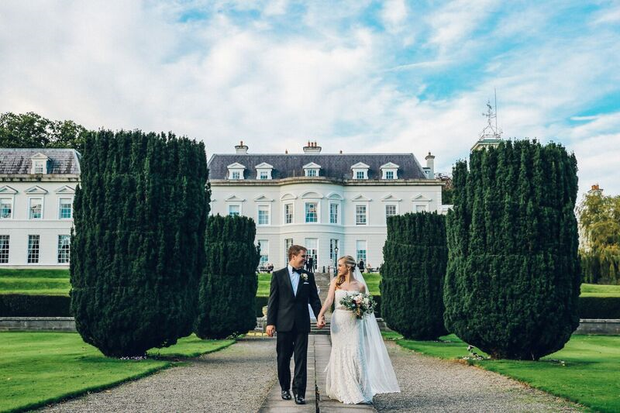 The K Club will host their exclusive wedding afternoon on Sunday January 20th from 2pm - 5pm, where newly engaged couples can avail of the perfect opportunity to see how their dream day could unfold in hotel's elegant, opulent surroundings. The special event will be hosted by TV presenter Lisa Cannon and will see top make up artist Aimee Connolly on-hand to provide special bridal-beauty demonstrations, while the Louis Copeland team will be there to offer advice to grooms on their wedding day style. A bridal fashion show will take place thanks to top Irish designer Sharon Hoey, while mothers of the bride will also be catered for with styles from the celebrated Isobel Boutique. Register your attendance via www.kclub.ie/wedding-showcase. The first 100 couples to register will receive a complimentary goodie bag on the day. For further information on the wedding afternoon visit www.kclub.ie/wedding-showcase. 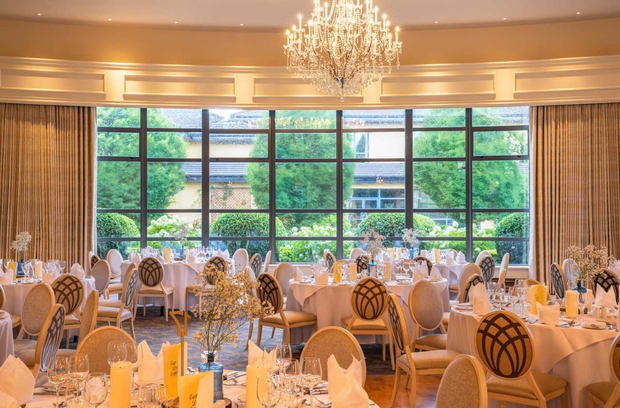 Mullingar Park Hotel will host a day full of fashion, fun and expert tips as they team up with award-winning bridal boutique The White Room for a wedding event to remember this January. Guests are invited to experience the exquisite ballroom at the beautiful hotel as they showcase some top designers such as Pronovias, Enzoani, Jesus Peiro, Paloma Blanca and Mikaella in a fabulous fashion show where you might also just find 'the one'! Less than one hour from Dublin, the Mullingar Park Hotel event will take place from 2-6pm on Sunday 13th January. Visit www.mullingarparkhotel.com for more details. Marlfield House in Wexford will host its Wedding Showcase on 6th January 2019 where guests are invited to enjoy canapes and bubbly while meandering through the reception and state rooms. The Conservatory will also be dressed for a wedding reception with flickering candles and floral displays. This event is by invitation only, to register visit marlfieldhouse.com. 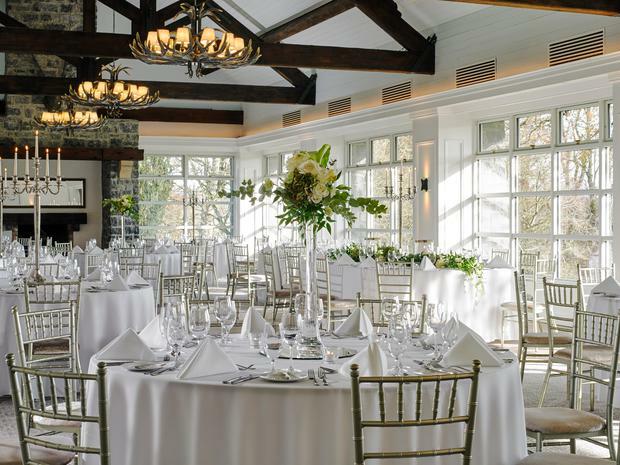 Muckross Park Hotel & Spa, Killarney, Co. Kerry will open its doors this Saturday, 5th January for their winter wedding event where newly engaged couples are invited to taste the delicious wedding menus, view the wedding suites and meet the experienced wedding team. Couples interested in attending the winter wedding taster event should contact wedding coordinator Bernie O’Donoghue on bodonoghue@muckrosspark.com or call +353 (0)64 6623400. Have a date for our diary? Contact THEVOW.ie editor Karen at kbirney@independent.ie with all the details! Karen Birney There was a time in Ireland when getting married meant a trip to your local church, signing the registry and having a few drinks in the local hotel to celebrate.